STEM THEME: Maths, Spatial Awareness. 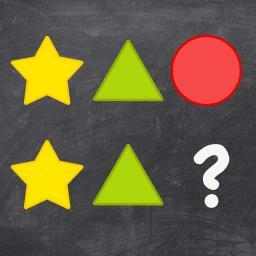 SUMMARY: This app allows the player to add in the missing symbol to complete the pattern. Levels are divided into ‘easy’ and ‘hard’ and include a range of different patterns including numbers, the alphabet, shapes, colours, animals and food. TOP TIP: Younger children should keep the sound on while playing as the app will name the object you are adding to the sequence – great if you are developing knowledge of numbers etc.